The rules of "Falcon Potato" are simple. You get two Mario players, and one Captain Falcon player. You turn up the launch rate, and you go timers-only. 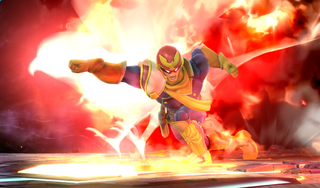 Once in the match, you slow down time, start a Falcon Punch, and try your best to cape the punch, back and forth, until someone gets hit.